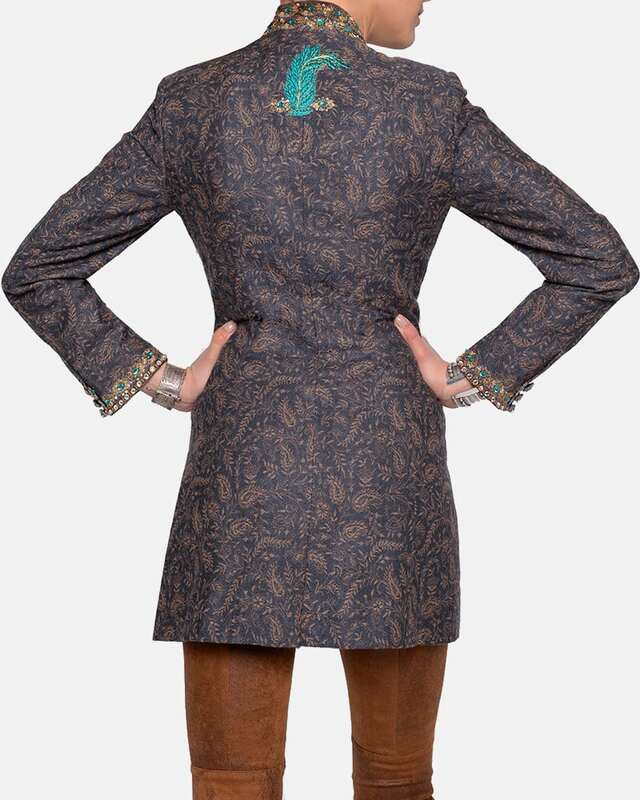 Grey paisley wool Danube Coat in a shorter version with turquoise Tripoli embroidery. Embroidered Peking collar. Side pockets with embroidered flaps at hip height. Bracelet length sleeves. 5 covered buttons down front. Fully lined in turquoise satin. Also available in a longer version.